Wondering how to edit videos on iPhone? Well if the answer is yes then read on. There are lots of people who regularly shoot videos and upload them on different social media networks and YouTube. And the main issue that they face is editing their videos. Although, they can easily edit their videos using a Laptop, but that would be a lengthy process. Hence there are lots of people who often look for a way to edit videos directly from their iPhone. In case if you happen to be one of such persons. 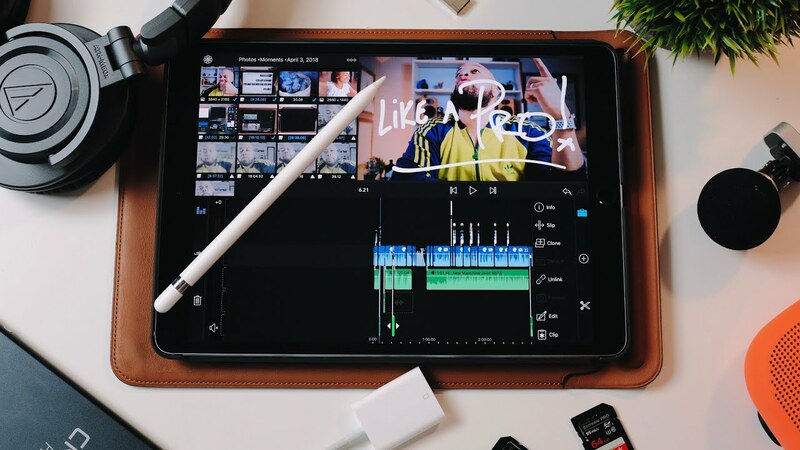 Then just to help you out in this article we will talk about some of the best apps which will let you edit your videos. FilmoraGo is one of the best tools that you can use to edit videos on an iPhone. The app is free to use one and does not have any limits on editing or places a watermark on the video. Moreover, with the FilmoraGo, you will get lots of music and effects that will help you to make a cool vided within minutes. Also using the app is super easy, you can select photos and videos then pick a theme, music, filters and other editing tools and save it. You can also use your music for your videos. Apart from these features, the app is also packed with lots of other features. So make sure to have a look at the FilmoraGo. Magisto is another great app for your question how to edit videos on iPhone. 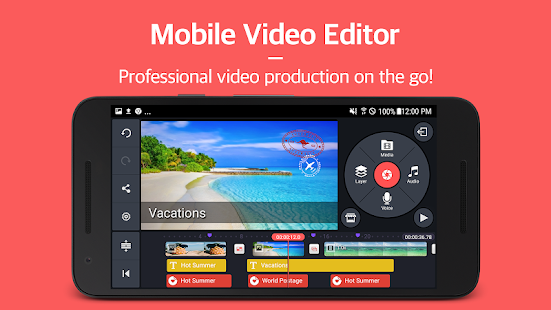 The app is extremely easy to use and lets you edit videos in the easiest way possible. 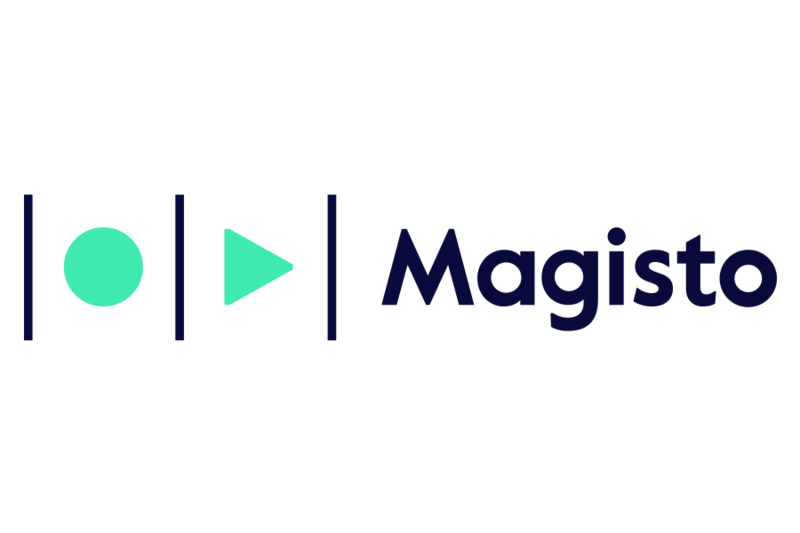 Talking about Magisto, well with the help of it you will be able to create marketing videos and product videos effectively. Thanks to it’s A.I. powered video editing algorithm. It also comes with a wide range of transition effects and music that you can use for your videos. The app is also free to use, but it comes with some restriction. You can also go for the premium versions of the app. Magisto comes with three different price tags. These prices are divided into Premium, Professional, and Business. LumaFusion is one of the most powerful multi-track video editors that you can try out. The app is mainly used by mobile journalists, filmmakers, and professional video producers. So if you are wondering how to edit videos on iPhone for youtube? Well, then LumaFusion is the only app that you need. The video editor offers you the flexibility that you need. Plus it is super easy to use also they offer a hell lot of tutorial videos. So you do not have to suffer. 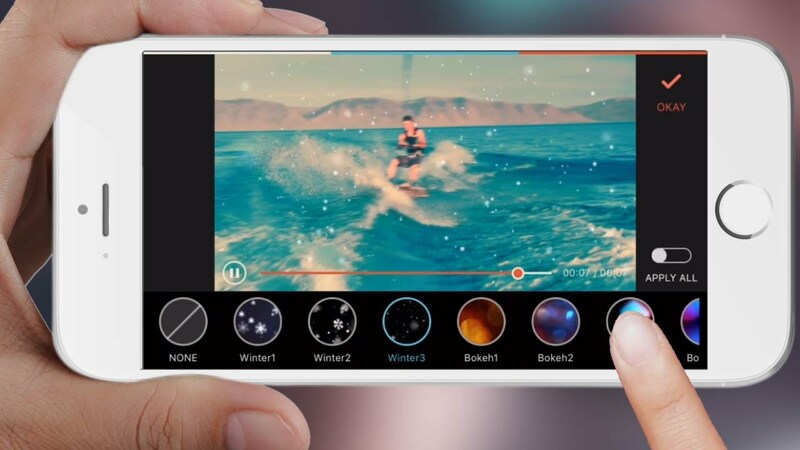 The app comes with dozens of video effects including Chroma Key. It has a bunch of powerful color correction tools and comes with the 4 point level editor. You will also get layer effects, colors, and LUTs. In addition to that, you will be able to create slow and fast motion videos with ease. However the app is not free, you need to pay a one time fee for the app. KineMaster is another popular video editing tool available for iPhone and iPads. The app is specially made for the professionals. Plus the developers of the app made the editing process as easy as possible. So even if you are not a pro at editing, you can still edit videos with ease. Talking about the app, well it comes with multiple layers for videos, images, stickers, text, and handwriting. Also, it offers shooting modes like B-roll, picture-in-picture, and chroma key. Also if you have this question in your mind that how to trim a video on iPhone. Well, then this app can be a savior for you, thanks to its frame-by-frame trimming, splicing, and slicing. Apart from these, it also comes with lots of 3D effects. The app is free to download, but if you need some professional tools, then you can always go for the pro edition. 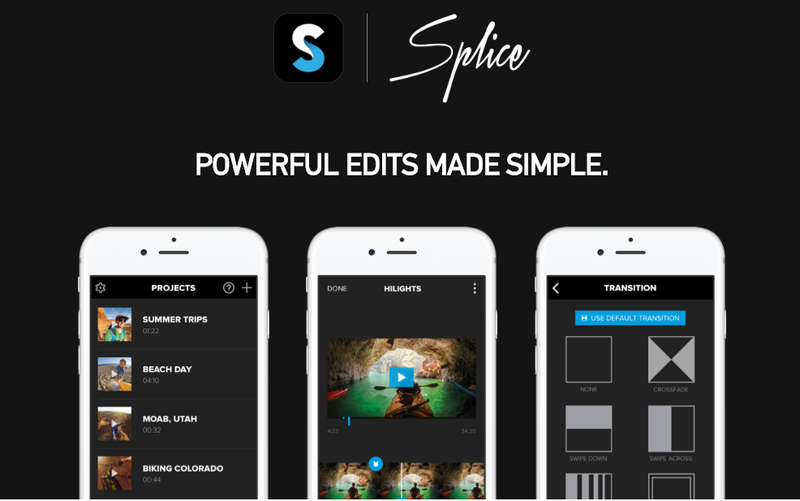 Splice is another great answer for your question how to edit videos on iPhone. Well, it is simple yet a powerful tool that easily lets you customize your videos and give them a professional look. With the app, you will easily be able to add trim videos, adjust transitions or add slow motion effects. Talking about some of the top features of the app, well Splice is capable of syncing your videos to the beat of the music. You can apply filters, adjust background colors and orientation or you can simply add stickers. Even you can add some zoom effects to your videos. Also, the app is free to download. So do not hesitate to give this app a try too. InShot Video Editor is one of the easiest to use app and a perfect solution for editing social media videos. It can easily trim videos, cut/delete the middle part of a video or simply merge two or multiple videos. You can also use this editor for adjusting the video speed. Furthermore, the app lets you add your own music to the videos and comes with lots of fun sound effects. Even it supports voice overs. However, the tool is not that professional. But in case if you are thinking how to edit videos on iPhone for Instagram. Then this is the best tool that you can try out. The app is also free to download and comes with a pro version too. 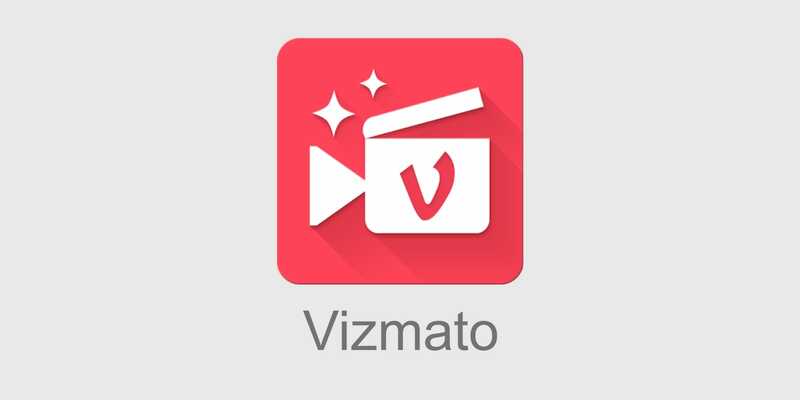 In the end, we have this tool called Vizmato. It is also one of the best answers to your how to edit videos on iPhone question. It is an easy to use movie maker and lets you edit a video using music, themes, effects and so on. Talking about the features, well using the app you will be able to add texts on your videos. Or you can add filters, themes, visual effects and even add background music. So you can create attractive videos. It also comes with more than 40+ Visual effects including some effects that used in Hollywood movies. Moreover, you will also get a video recorder with LIVE FX and Audio FX. So that was all for the how to edit videos on iPhone article. Using these apps, you will be able to perform a hell lot of tasks and edit some amazing videos without any issues. Also if you have any more questions to ask. Then feel free to comment below.